HMH Books for Young Readers, 9780618971435, 80pp. 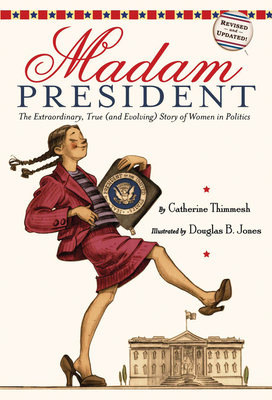 Catherine Thimmesh’s inspiring look at the role of women in American politics—past, present, and future—is now available with updated sections on Hillary Rodham Clinton, Condoleezza Rice, and Nancy Pelosi. From the time our government was being formed, women have fought their way from behind the scenes to the center of power and decision making. So, why not a woman in the White House? Two thousand eight may be the year!